If you live in Candler, NC, and are experiencing stomach ache and nausea, visit FastMed’s walk-in clinic located at 511 Smoky Park Highway. We provide our patients with high-quality personal care, 365 days a year. Stomach ache and nausea causes can vary greatly among individuals. Speaking with a doctor about your symptoms can help you determine the cause of your discomfort. Stomach ache and nausea are not usually signs of serious illness, but there are a few acute conditions of which stomach aches and nausea could be a symptom. Norovirus – Norovirus is a stomach virus that causes nausea, diarrhea, vomiting, and stomach pain. Since Norovirus is a virus, it cannot be treated with antibiotics. You should be careful to avoid dehydration and get plenty of rest. 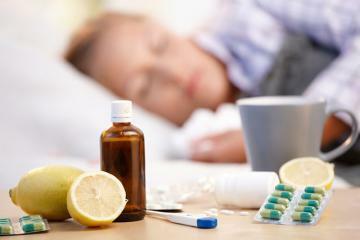 If your symptoms do not get better within a few days, you should seek medical treatment. Enteritis – Enteritis is the inflammation of the small intestine, usually caused by contaminated food. Some common symptoms are stomach pain, nausea, fever, vomiting, and diarrhea. It is usually treated with medication. Appendicitis – Appendicitis is the inflammation of the appendix. It normally causes severe pain in the lower-right section of the abdomen. Some common symptoms are nausea, vomiting, abdominal swelling, appetite loss, and fever. Appendicitis is usually treated by surgically removing the appendix. Pancreatitis – Pancreatitis is the inflammation of the pancreas. It can cause a lot of symptoms, but the most common are headache and nausea. It is usually treated in a hospital. It is important to determine the cause of your stomach ache and nausea and quickly receive treatment. If your stomach ache and nausea persist for more than a few days, or become severe, immediately visit FastMed in Candler, NC.